Get real about the foods you eat and lose weight, decrease inflammation, increase energy, build muscle, boost immunity—and if you have a sport-specific goal in mind—increase power, improve recovery time and boost endurance and stamina. Our nutritionist, Andrea, will help you get there. Whether you want a fresh approach to healthy eating or are already eating well but need a few tweaks, this no-nonsense, straight-to-the-point nutrition session will kick you into high gear and get you on top of your fueling game. Between the one-stop Kickoff and the more committed Fuel Better Three Month, a little something in the middle. Get your feet wet with this one-month nutrition plan and experience first-hand how eating real food can make you look, feel, and live. This is your most comprehensive nutrition plan. Three months of continual support and accountability with Andrea to get you where you need to go. This habit-forming and life-changing journey will improve your body composition, energy levels, how you look and feel and—should you be training for sport—performance and power. The essential health-boosters, high quality supplements are vital to fill in the nutritional gaps missing from our diet. While we benefit greatly from eating whole, organic and nutritional foods, vitamins and supplements are standing at the ready to make the tweaks and fixes to your internal engines to keep you on the road and running smoothly–in sport and in life. Not sure what vitamins and supplements to take? Schedule a 30 minute Supplement Strategy Session with our Registered Holistic Nutritionist, Andrea McDonald. You don’t have to be an “athlete” to work with me! CEO of real food living for weight loss, body composition, health concerns, sports performance and all things wellness, Registered Holistic Nutritionist, Andrea McDonald, is your rock. 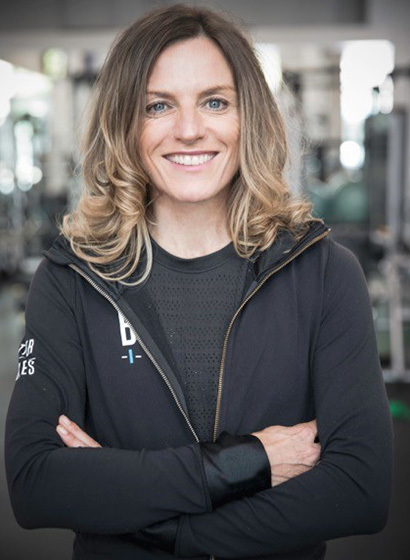 Whether it is a customized meal plan, supplement recommendations, or lifestyle changes, this WowRide Tag Racing team member, Method spin instructor, and mom of two is completely over-the-top passionate about bringing balance, radiance and vitality to your life. Want to receive Andrea’s monthly nutritional tips? Sign up to receive Better Bodies Newsletter this is BETTER, a monthly collection of articles that enhances our lives, through fitness, wellness and nutrition.